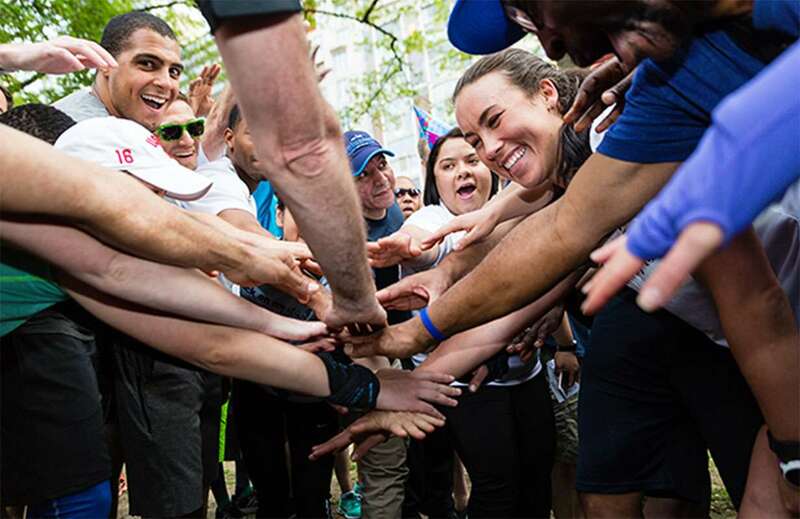 From their first morning run to Next Steps meetings with Back on My Feet employees and workshops with financial partners, our members are supported by our community on their road to self-sufficiency. "Community to me isn't just a destination or an event we participate in. Community is a people we commit to. A people who know us and love us where we are now and while we are becoming something new." Back on My Feet recruits individuals at homeless or addiction and treatment facilities around the country. These individuals – known as members – commit to run three early mornings a week. Goals are set and achieved with one mile becoming two, two becoming three and so on, and after 30 days with 90%, their first milestone: they earn the opportunity to move into Next Steps. In Next Steps, members work with Back on My Feet program staff to develop a personal road map to independence. Each member attends financial literacy classes and job skills training provided through partnerships with our corporate partners. Members can earn financial aid to remove barriers to employment and housing such as work supplies, transportation and security deposits. Members who achieve employment and housing become Alumni Members. Members set & achieve goals, getting mentally & physically stronger. Our community supports members - cheering them through life's hurdles. Employment partners and housing resources complete the cycle. 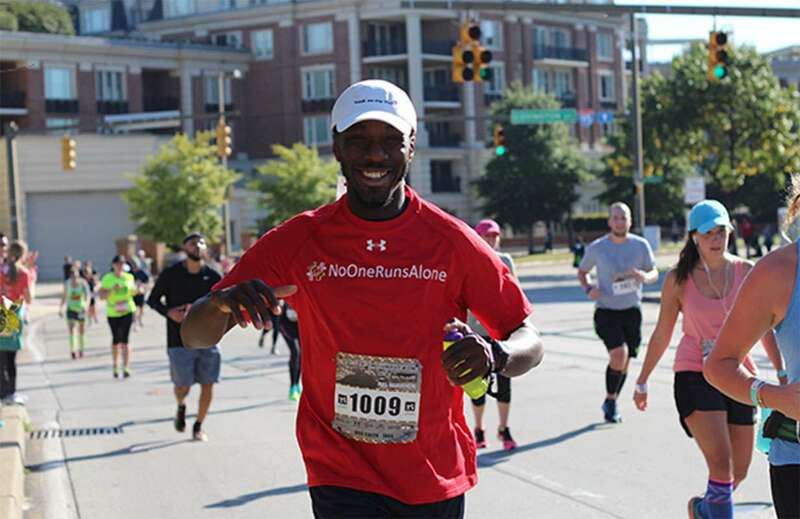 No matter our circumstances, Back on My Feet shows that something as seemingly simple as running can strengthen individuals, build communities and transform lives. Our members are individuals currently experiencing homelessness or at risk of becoming homeless. To join, members must be referred by one of our facility or referral partners. Members range in age from 18 to over 65. 35% of our members are veterans. 53% are African American, 31% Caucasian and 14% Hispanic. Some members have a college education, while others are working on their GED. Most of our members have families, with 60% having children, and we are proud to have Back on My Feet reunite them around something positive.